So you’ve built your ecommerce business and now it’s time to launch, but do you have all your bases covered? At this point in the process, there’s a lot to keep track of and it can be easy to forget a crucial aspect of launching your business, so put your mind at ease with the Launch Checklist. We’ve compiled this list of important tasks to check off before or during the launch of your ecommerce store so you don’t forget any major tasks that will leave you scrambling at the last minute. The last thing you want at this stage is to be hastily throwing together any important details at the last minute, and this Launch Checklist will make sure you never put yourself in that position. 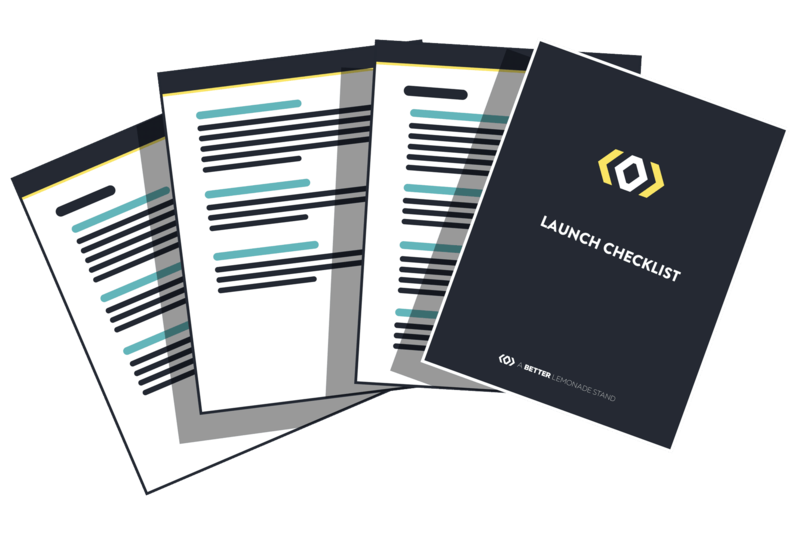 Get organized, and download the launch checklist now. It comes with an accompanying guide that describes every step of the process so if you’re unsure of how best to complete the task, the instructions are included to set you on the right path. Launch the right way with the Launch Checklist.